In Egypt, Turning Back The Clock For Ramadan The Muslim world begins celebrating the holy month of Ramadan, fasting from dawn to dusk, and breaking the daily fast by celebrating with family and friends. In Egypt, there are some worries about the excess and government plans to turn back the clock, bringing sundown an hour earlier during the month. 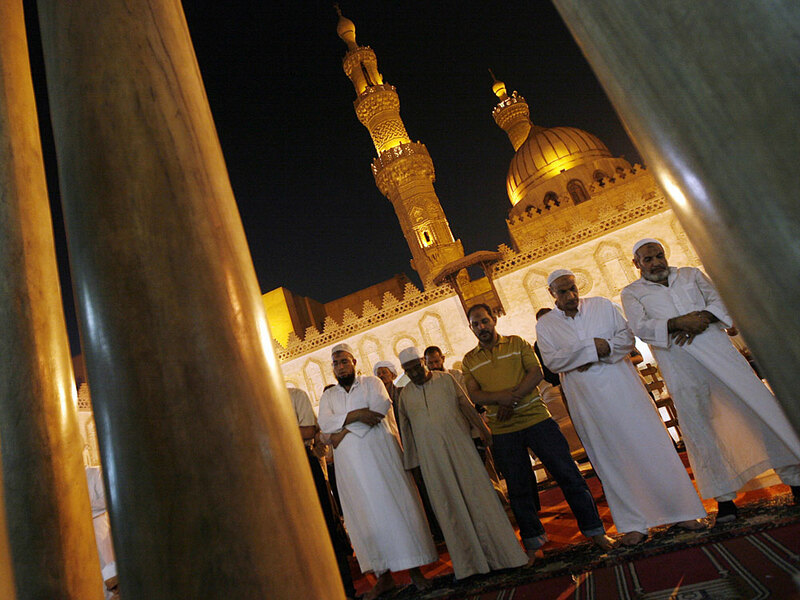 Muslim Egyptian men pray during the Islamic holy month of Ramadan at Cairo's historic Al-Azhar mosque in September 2009. Some experts say many Egyptians have lost the meaning of the holy month, spending too much time after hours partying, eating and watching TV. Egypt has Ramadan traditions that are unique in the Muslim world. 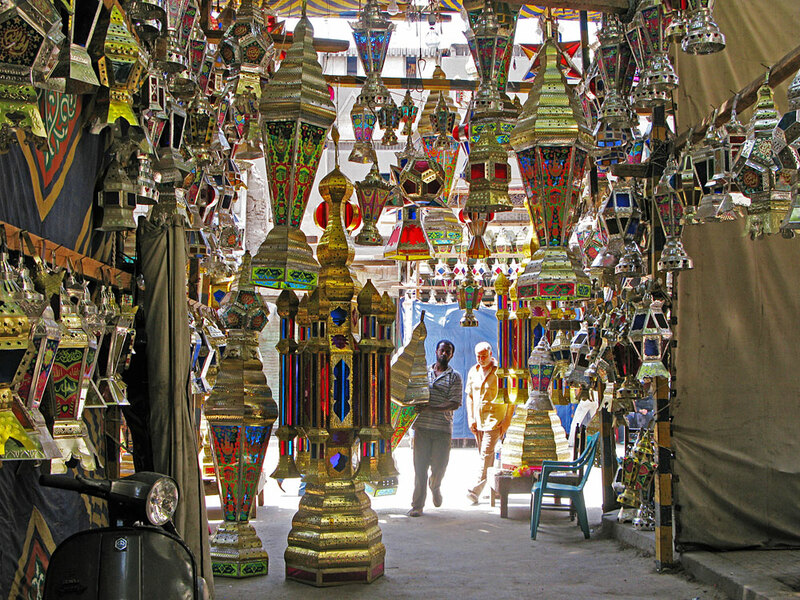 Among the most famous are the brightly colored tin and glass lanterns called fanous, which hang for sale by the thousands in the medieval Islamic quarter of Cairo. Daylight saving time will return once Ramadan ends. All the feasting and socializing lead to another less desirable tradition -- the "Ramadan Effect." We have 30 days of Christmas Eve full of banquets and food. But even conservative religious groups support the Egyptian festiveness -- within limits.